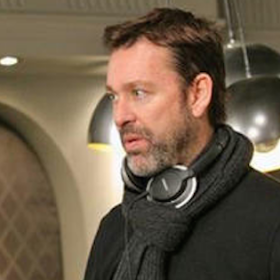 David M. Barrett is a renowned television/film director and producer currently based in New York City. Throughout his celebrated career David has directed over 77 episodes for a staggering total of 41 different television series, and is presently a recurring director and co-executive producer of the hit CBS crime drama Blue Bloods. Additional recent directing credits include episodes in many primetime television shows such as The Mentalist, Castle, Arrow, and NCIS: Los Angeles. David was also a co-producer of the major motion picture Orphan. David’s grandfather, Dave McCoy, instilled a love of sports in his son and grandson from an early age. As the founder of the Mammoth Mountain Ski Area, McCoy inspired both athletic excellence and entrepreneurial innovation in his family. As a Hollywood stuntman, world land speed record holder, and Nascar driver, Barrett’s father certainly lived up to McCoy’s legacy. Combined with a World Championship bronze medalist alpine ski racer as a mother, it is no wonder that David grew up with an inherent flair for pushing the limits of what the natural world has to offer. From an early age, David has been immersed in extreme sports and the outdoors, ranking competitively in motocross, alpine skiing, and snowboarding. Following in his father’s footsteps, David’s passion for athletics led him to begin his film career as a stuntman. His featured stunts can be found in blockbuster movies such as The Matrix Reloaded, 8 Mile, Spider-Man, The Town, The Lost World: Jurassic Park, and Jurassic Park III. It was his experience as a stuntman along with the influence of his famed godfather, actor and director Paul Newman, that ultimately inspired David’s creative transition into the director’s chair. As a director, David constantly strives to inspire compassion for others through the stories of the characters he brings to life. He views success as delivering a product that touches the humanity of his viewers. David’s ceaseless pursuit of artistic ingenuity have made him responsible for some of the best contemporary television shows on the market.